Sparks are igniting.Flames are spreading. Catching Fire was not as exciting as the first book, however it was still exciting and enjoyable near the end, as it was where the games started and she was quickly filled in on what happened to her home, district 12. In the beginning it started a lot slower compared to the first book, because it had to explain the situation of the districts that were currently rebelling and Katniss' fear of what she has caused. Personally I thought that the writing lacked emotion and impact. 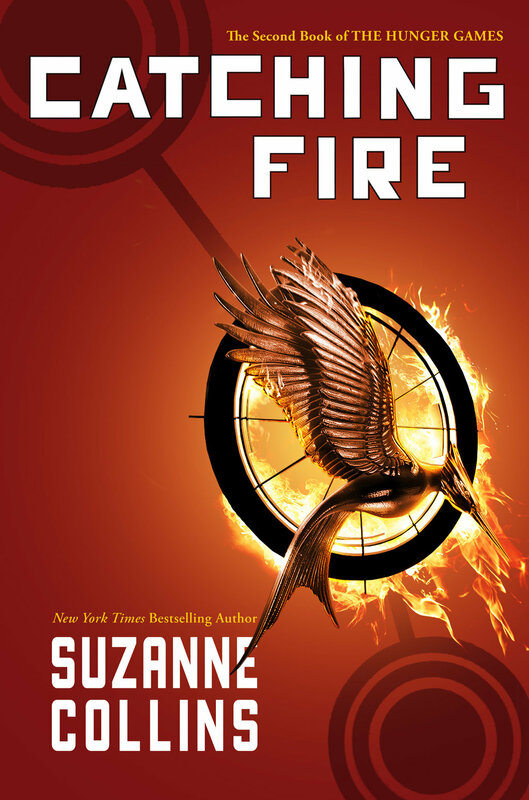 The author wrote so much detail about the rebellions and Katniss' thoughts and worries that she had rushed through the truly exciting part, the games itself. While reading about the dangerous adventures Katniss and Peeta had with their allies I felt that things ended as soon as it begun. Near death experiences were quickly followed after by the next morning, feelings were skipped through, making Katniss seem like she didn't even realize she almost died. Overall, the Games were not as exciting as the Games in the fIrst book. My favorite thing about this book were the characters, I loved every one of them. Katniss was a three dimensional characters with many flaws. She is uncomfortable, awkward, and doesn't allow people in. But she is also fiercely loyal to her family and friends, brave, smart, and ultimately, good. Peeta is wonderful, kind, smart, well-spoken. He is everything that awkward Katniss is not; they play off one another perfectly. Their allies during the games, Finnick, Mags, Johanna, Beetee and others who were killed off early were the perfect combination of bravery, kookiness, and intelligence. Some of the characters made me laugh because of their unusual behaviour, and the death of others greatly saddened me. I was so deeply delved into the Hunger Games that I felt myself standing beside the characters and watching them die in front of me. Another thing that I loved about this book was the creativity and uniqueness of everything. Suzanne Collins really knows how to capture her audience and make them cling onto every word. The plot twist and cliffhanger were the worst things to depart away with from this book. Both of these events just made me want to scream in frustration because I suddenly had questions that needed to be answered immediately. I was never a fan of books of the dystopian genre, however the Hunger Games trilogy is an exception because it's amazing. I cannot wait to go see Catching Fire in the theatres when it is released. I love it when I find a good series. This book may be a bit darker than I'd let my boys read right now, but for the teen crowd is appropriate. I love the characters and am rooting for them every step of the way. The book is impossible to put down and I hate that I have to wait a couple weeks for the next one to come out.